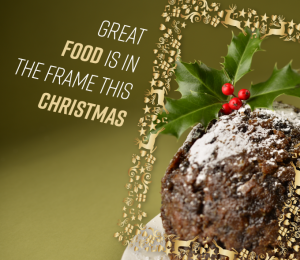 From the turkey to the Christmas pud and every tasty bit in-between, our supermarkets are open every day except the big day itself to make sure you’ve got everything you need during the festive season. 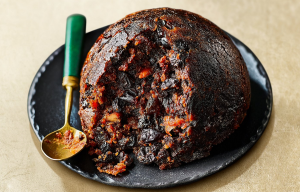 Handcrafted from an old family recipe, this beautifully balanced vintage pudding includes Vositizza currants, Californian raisins, Turkish sultanas and Sicilian oranges, all soaked in sweet Pedro Ximénez sherry. 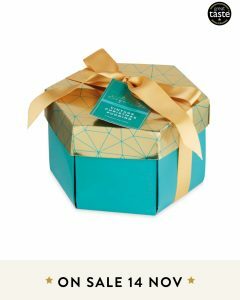 It’s topped with black cherries and includes hints of opulent XO brandy. 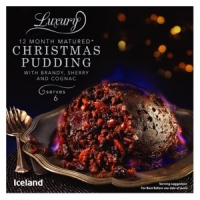 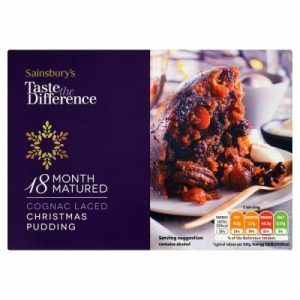 Iceland Luxury 12 Month Matured* Christmas Pudding. 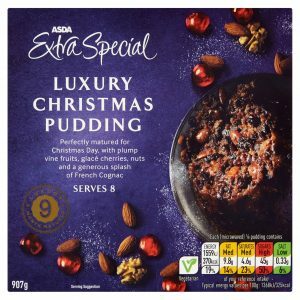 A rich fruit pudding with cider, brandy, sherry, cognac, almonds and pecan nuts.